There once was a man called Corny McCornhead, for he had the most awful, yellowish hair that much resembled the silk at the end of a ear of corn. Corny McCornhead was a very wealthy man and had plenty of money. He could have had decent looking hair, but for whatever reason, he decided to comb his corn silk hair all the way from the back, to the front. It was quite a sight to see on a windy day. Many people made fun of his hair, and hey, why not? 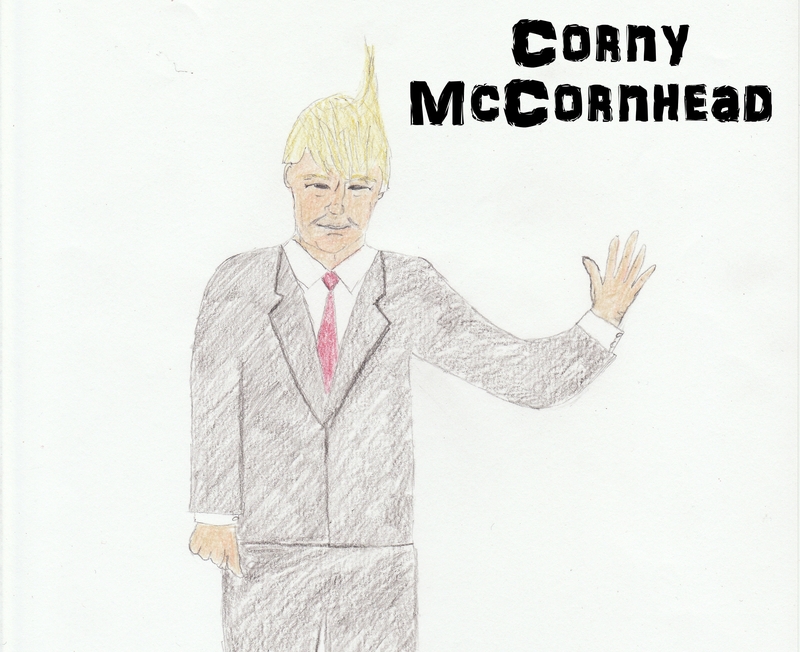 Corny McCornhead was not well liked by most people. He was exceedingly arrogant, conceited and smug. So having terrible hair made is at least slightly enjoyable for people who had to see him. He was the kind of guy you could see being the most spoiled rotten brat as a child. The kind who wasn’t used to always having what he wanted. For when things started to not go his way, or someone did something or said something against him, he would almost immediately retort with insults and jabs at that person’s physical appearance. I suppose this made him feel better about himself. He also seemed to have severe issues with memory. He would talk to people, say one thing, and then 5 minutes later have no recollection of ever having said such things. Corny McCornhed liked women, oh yes, he liked them. But he didn’t LIKE THEM like them. He liked the pretty ones. Those who weren’t so good looking, or said or did something he didn’t like usually got called some choice names. He felt he was more, that he amounted to much more than any woman ever could. He also seemed to have a very poor concept of how women’s bodies worked. 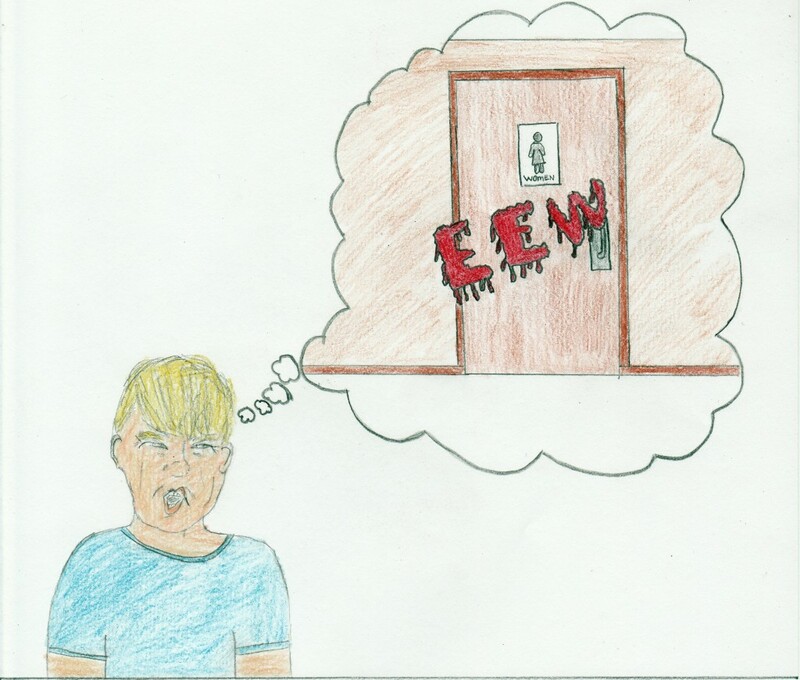 He was once disgusted to learn that females, like males, also use the restroom. That among other things showed just how clueless and oblivious he was to how things worked. 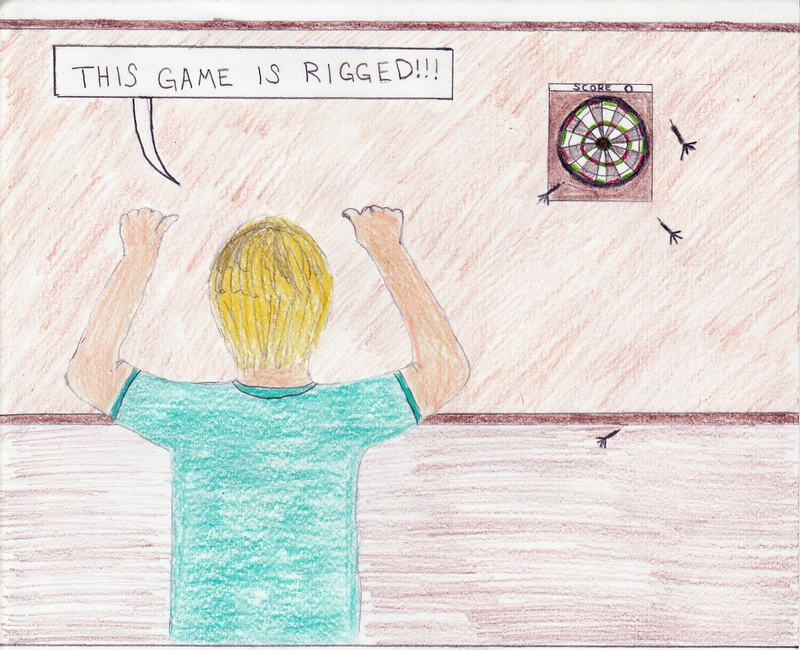 He also always thought things, whether they be games, contests, competitions, anything he would do that didn’t turn out in his favor was “rigged.” He made sure to loudly voice this if he lost, or was ever losing something. You can pretty well see what he was like. 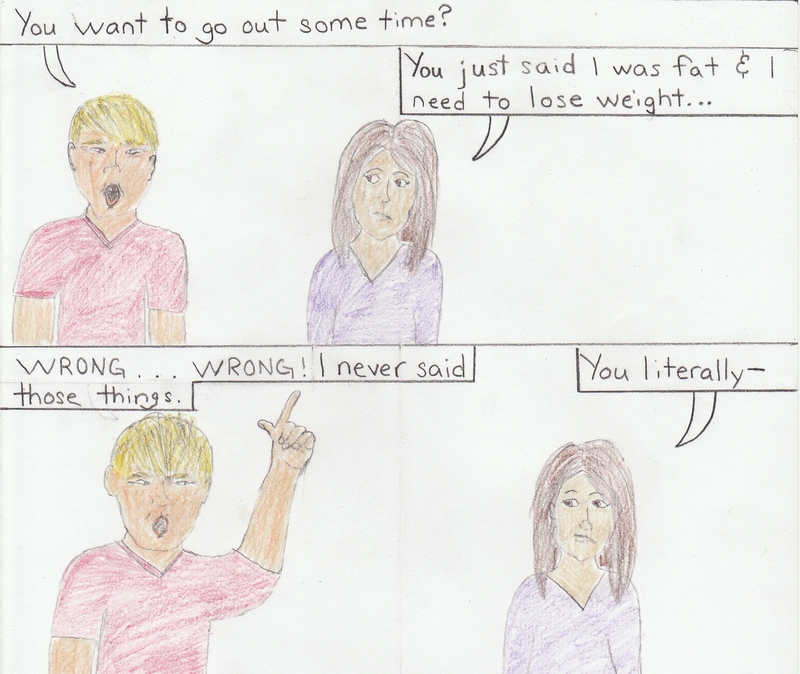 He kept on insulting, belittling and bothering people with his nonsense day in and day out. For a while it was somewhat amusing and even comical, but eventually everyone got tired of all his crap. 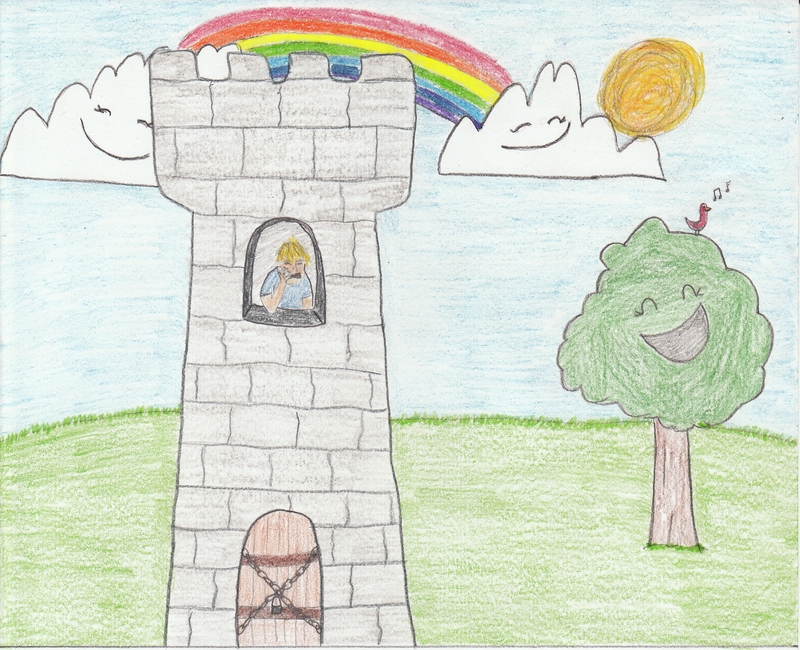 They decided to work together to devise a plan, and locked him up in his tower and told him never ever to come out again. The world went on to be better and much more peaceful place. The End. This entry was posted on Tuesday, October 25th, 2016 at 8:38 pm	and is filed under Comics, Stories. You can follow any comments to this entry through the RSS 2.0 feed. You can leave a comment, or trackback from your own site.